Congratulations to Heather Garlinghouse from Elk Point, SD! 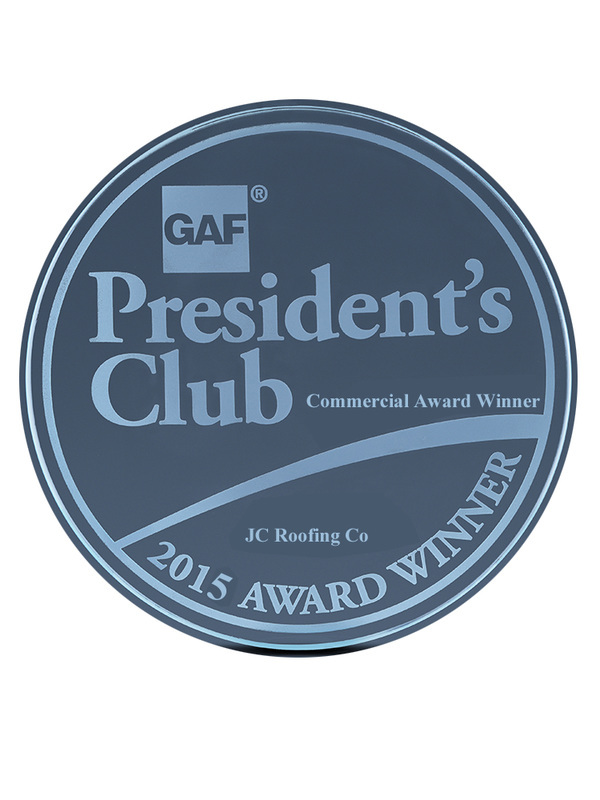 2015 Presidential Award ~ JC Roofing is the ONLY commercial contractor in the states of Iowa, Nebraska and South Dakota to receive the award this year! JC Roofing & Insulating of South Sioux City has served Nebraska, Iowa and South Dakota for over 30 years. We service all residential and commercial roofing applications, and we are recognized by GAF as Master Elite and Master Select Contractors. This recognition translates into the expert level of quality that you can depend upon when it comes to your roofing application. Only 2% of the contractors in the United States are selected to become Master Elite Contractors, and only 1% become Master Select Contractors. Wherever you need us, we'll travel. Whether you're down the block or a few hundred miles away, we will get the job done and still remain cost effective for you! Ask About Our 30-Year Warranty on our Commercial Roofs! LIMITED LIFETIME WARRANTY on all SHINGLES!